“A Wall Street Journal representative told The Verge they’re aware of the issue and have launched a full investigation. “The page was owned by WSJ. Custom Solutions, a unit of the advertising arm, which is not affiliated with The Wall Street Journal newsroom,” the representative said,” reported The Verge after news of PewDiePie fans hacking a Wall Street Journal-affiliated website broke. PewDiePie is both famous and infamous, his anti-semitic humor has cost him career opportunities, but he maintains a growing subscriber base of YouTube. 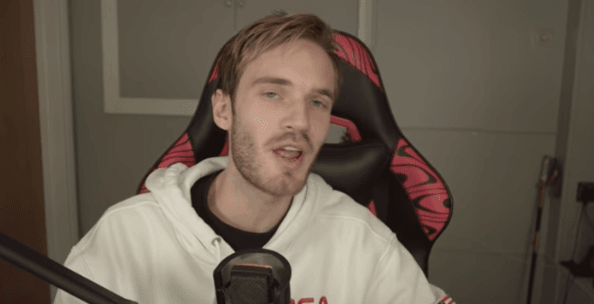 “PewDiePie, whose real name is Felix Kjellberg, has urged his fans to support him in his battle to remain the video platform’s top channel. His position is currently under threat from T-Series, an [sic] major Indian record label that has been closing the gap on PewDiePie in recent months,” The Independent reports. The cult-like desire of his face to stay on top, combined with the Wall Street Journal’s previous reporting is likely behind the hacking effort. One of the hackers, who goes by the name HackerGiraffe, explained the motivation behind the attack in a series of Twitter posts. “While playing around on [IoT search engine] Shodan, the idea came to me that maybe I can hack printers around the world to print something, I didn’t know what at the time,” the hacker wrote. “It didn’t take me long to realise [sic] that the most perfect thing to print would be a message supporting our dear overlord @pewdiepie himself!” The hacker claims to have discovered over 800,000 vulnerable printers, but only around 48,000 were originally targeted. PewDiePie himself would add, “All this support to keep me on top is so funny, I love it, please keep it up,” he stated in a YouTube video following the printing attacks. “Just don’t do anything illegal, OK, because that would look bad on me. That’s the only reason,” he would add showing his true lack of concern over actual conduct. PewDiePie’s fans are likely to continue the race against T-Series over the next several months. Unless PewDiePie takes a strong stance against illegal and immoral activity done on his benefit, more hacking is likely to continue. In fairness to him, it may continue even if he were to do such. Hopefully, most will lose interest in the manufactured race and focus their attention on matters more pressing like combating global climate change.